Flipboard for Android got a major update and it brings features that were introduced to iOS app in March to Android. Now with the version 2.0 app Android versions is on par with the iOS version, it brings the major feature custom magazine creation to Android. Along with this update Flipboard also launched a web based tool for curating custom magazines. The magazine creation feature allows users to create custom magazines out of any content, news articles, photos from your library, or using content from social networking sites like Facebook, twitter, YouTube, Google+ etc. The magazines you create can be of anything based on your interests or hobbies, these can be private or public. Public magazines can be shared with Flipboard network, through social networks. To create click the “+” button next to articles and start flipping by adding name description to your magazine. 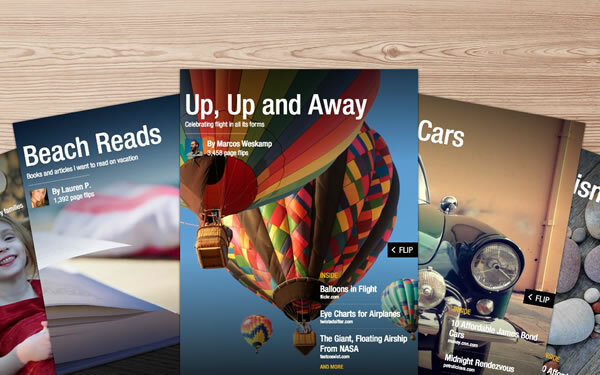 In addition to the Android app Flipboard released a web based tool for making and managing magazines on your desktop. To start creating login with your Flipboard username and password at editor.flipboard.com.